Chrisann McKenzie, top student in the CAPE Agricultural Science exam for 2017, washes her feet before heading into the chicken pens at the Agriculture Department at Speyside High School. Chrisann McKenzie, a 2017 graduate of Speyside High School, is the top student in Trinidad and Tobago in Agricultural Science, placing first in the 2017 Caribbean Advanced Proficiency Exam (CAPE) in this subject. McKenzie, 18, of Charlottesville, was ecstatic at the news of her achievement. “I really did not expect to get that achievement… so it is really a tremendous feeling,” she told Newsday Tobago in an interview. “I would like to thank God because without him all of this would not have been possible. My parents (Jean Thomas McKenzie and William McKenzie), teacher Ms Maudella Ashby Bruno - she ensured that I would have gotten all the necessary notes for the examination and my brother who would have also given me additional information in the field of agriculture. “Finally, Mr Farley Augustine, he would have actually taught me at the Sixth and Fifth form level. I want to thank him for the inspirational words that he would have said to me throughout my entire tenure at Speyside High School,” she said. One Tuesday, it was announced that McKenzie, for the second consecutive year, ranked as the top student for CAPE Agricultural Science in TT. 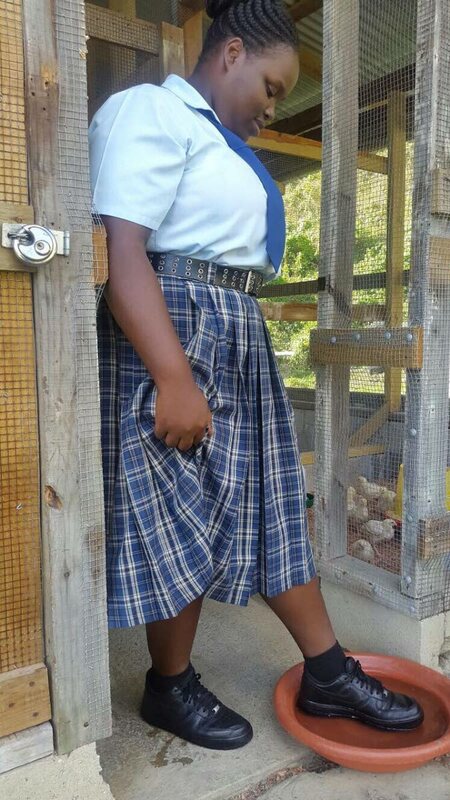 In the 2017 examinations, she placed fifth in Caribbean region and is the only student from TT in the Top Ten Merit list of performers for Agricultural Science. Last year, she placed third in the region, and tied for the top position nationally. Not yet having decided on her path forward into tertiary education but thinks that agriculture may very well her chosen field. “I am currently in the process of deciding whether or not I would be going into the agriculture field, I’m not too sure in what area I will continue my studies. However, since this is an area that I am excelling in, I probably will take it into consideration. At this point, I am interested in Social Sciences, more than likely I may also get involved in areas such as Criminology,” she said. A fascination with crop production may very well see her making agriculture her area of expertise. “If I was to go into Agriculture, it would be in the field of seedling production mainly. I’m really interested in sowing seedlings and plants and watching them grow and develop; I like taking care of stuff, I like nurturing them and ensuring they have what they need to survive,” she said. She suggested that diversification of the economy through agriculture could begin with the youth. would contribute to the expansion and development of the agriculture sector. “Right now, it is not being properly facilitated and it is also not contributing significantly to the economy. We in Trinidad and Tobago need to contribute and focus more on agricultural development so that we would lower our import bills. We need to go back to old time days and produce our own food,” she said. McKenzie is currently employed at Speyside High School as a clerk whilst continuing to pursue some additional courses. This has allowed her to help other students studying agriculture at the school. “Recently I would have assisted some students with their School Based Assessments (SBA). Once they come to me I would help them. I am not a selfish person, I am open to helping others and sharing my knowledge with persons,” she said. “Speyside High School has again given Tobago East and all of Tobago, by extension, another reason to be proud as they continue to demonstrate academic excellence at the national and region level in the CAPE Examinations. “My office wishes to extend congratulations to Chrisann, her teacher Maudella Ashby Bruno, her parents, the village of Charlotteville and the entire Speyside High School community,” he said, inviting all of Tobago to join in congratulating McKenzie. Reply to "TT’s top Agri Science student wants greater focus on sector"